Staying hydrated keeps you fit and focused during every activity, from low-impact to high-intensity. Thanks to revolutionary technology used by Contigo designers, Contigo water bottles, thermal mugs and flasks are easy to carry, comfy to hold and simple to drink from, giving you a convenient and essential product to slip into your sports bag. Contigo is a US market leader in sports drinkware. Focused on eco-friendly products, the Contigo brand has even developed its own technology: AUTOSEAL (automatic seals between sips) and AUTOSPOUT (pop-up straw for one-handed drinking). Go for a 100% leakproof Contigo water bottle with AUTOSPOUT, where all you have to do is press a button to sip and release it to seal. No spillage, minimal effort and quick rehydration to keep you active and focused on your game for longer. Our Contigo AUTOSEAL flasks and mugs keep your drink ice-cold or perfectly-hot for several hours. With simple, one-hand use and double stainless steel design, Contigo mugs are ideal for sports tournaments and all-day hikes. We always offer the best choice at Excell Sports. 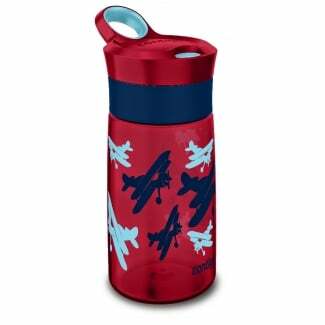 These Contigo water bottles and insulated flasks come in a range of attractive colours, and you can even get junior water bottles for gym classes and school sports days. If you want, check out our other top-brand sports water bottles.